Our cars and trucks are surrounded by auto glass. When it comes time to replace or repair your pick-up trucks windows, do you know which names to use when speaking with your local Auto One or insurance agent? Let this car window guide assist you with picking the correct window. At Auto One, the safety of our customers is our most important concern when replacing a car or truck window. Our shops use BETASEAL glass bonding adhesives, the same glass bonding adhesives as many Original Equipment Manufacturers (OEM). Over 85% of North American OEMs use BETASEAL™ adhesives, more than 60% globally. That's more than one billion installations worldwide. Auto One is proud to be an authorized BETASEAL company and to provide a high level of safety for our customers. When talking about car windows, we are most often referring to the side windows or the door windows. Depending on the type of car you drive, there can be more than just two windows on each side. Your car may also have these windows. Quarter Glass: this is the smaller triangular piece of glass between the door glass and the front or back windshield. Driver's Side Car Windows: in the USA, saying "driver's side" means the left side of the car, truck or SUV. Passenger Side Car Windows: the right side car windows are often referred to as the Passenger side. Sun Roof Glass: this is the glass found in the roof of the vehicle. It typically pops up or tilts up. Slider: On a pick-up truck, the portion of the back window that moves is the slider. On a pick-up truck cap, the windows are also called sliders. What type of Car Windows Does Auto One Replace or Repair? 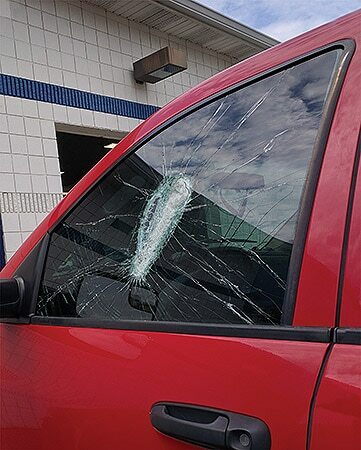 The expert auto glass technicans at Auto One will assist you with all of your car windows from windshield replacement to the slider on your pick-up truck. You'll find our in-shop or mobile car window replacement to be hassle free and very convenient. For your convenience, we offer mobile car window replacement within five miles of each of our stores*. If you are using auto insurance to cover the cost of the car window replacement, you may find it easier to visit your local Auto One store. Our experienced auto glass representatives, will walk you through each of the steps needed to make your claim. We can help you with the complex insurance questions. At each Auto One location, you'll find fresh coffee, wifi hot spots* and a smile waiting for you. While you wait, our IGA certified side window installers will replace your auto glass. Carefully cleaning around the replacement. If you'd like to protect your replaced or repaired car window, we recommend the Auto One Car Window Protection Treatment. The mobile area may be larger depending on the Auto One location. If you live in Michigan or the rest of the United States, we refer to the big piece of glass between the headlights and the car roof as a windshield or front window. If you live overseas, this car window is often referred to as a windscreen. Where did that Windshield crack come from?